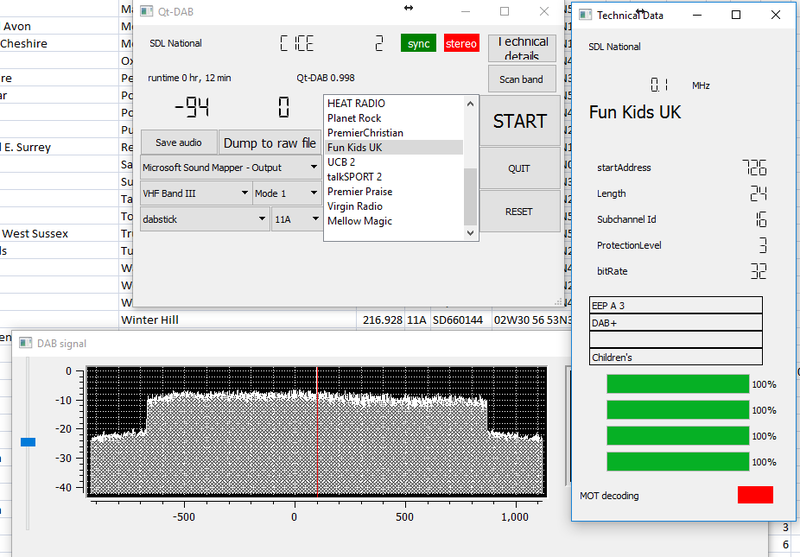 Tonight I had a go at decoding aircraft data signals on 1090MHz using an RTL USB TV tuner dongle, RTL1090 and Virtual Radar. I was just using my usual 50/144/430MHz vertical antenna with this, so it wasn't going to work too well, but I decoded a few planes going over the local area. 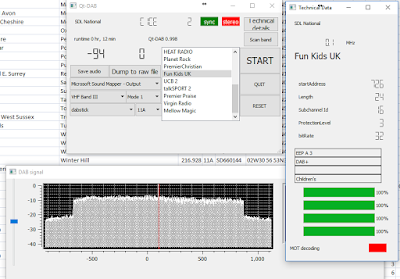 Also tried the DAB receiver software SDR-J. A DAB+ station on the 3rd national multiplex (no local sites, nearest is Winter Hill). I've ordered a new phone, a Huawei Mate 9, to replace my Samsung Galaxy Note 4 (which is still OK, and the Note 1-3 that I had before that would probably be OK to still be using). Samsung and Apple's top of the range phones are now about £750. Even over a 24 month contract that's a lot of money just for the phone before they add on any calls and data. There is serious competition at a lower price now (but not 'cheap'), Huawei etc. At the moment there isn't any version of the Note on sale, after the Note 7 was recalled. There was no UK release of the Note 5 either. Even though the Galaxy S7+/S8+ are big screen phones, things like the curved screen and the new 2:1 aspect ratio put me off. I think real horizontal screen size is more important than getting rid of a few buttons (I liked the 1280x800 screen on the original Note, the Note 2 actually made it worse by going to 1280x720). With the iPhone 6+, Apple took the 'phablet' form factor into the mainstream (the big iPhone is just as big as a Galaxy Note). I could almost buy one now, except I don't like iOS. I don't think I'll miss the S-Pen very much, it was a novelty but I ended up using it mostly as another way of taking a screen capture.